In studying resilience in the face of trauma and pain, researcher Brené Brown found that the capacity to hope-intelligently and actively-is an essential component. As a researcher, I can't think of two words that are more misunderstood than the words hope and power. As soon as I realized that hope is an important piece of Wholehearted living, I started investigating and found the work of C. R. Snyder, a former researcher at the University of Kansas, Lawrence.1 Like most people, I always thought of hope as an emotion-like a warm feeling of optimism and possibility. I was wrong. 1. C. R. Snyder. Psychology of Hope: You Can Get There from Here. New York: Free Press, 2003. 2. C.R. Snyder, K. A. Lehman, B. Kluck, and Y. Monsson, "Hope for Rehabilitation and Vice Versa," Rehabilitation Psychology. 51:2 (2006): 89-112; C. R. Snyder, "Hope Theory: Rainbows in the Mind," Psychological Inquiry. 13:4 (2002): 249-275. 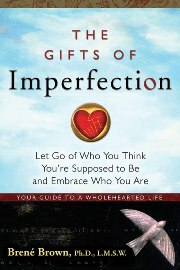 Excerpted from The Gifts of Imperfection: Let Go of Who You Think You're Supposed to Be and Embrace Who You Are by Brené Brown (Hazelden 2010). Find a meeting with a peer recovery support group.